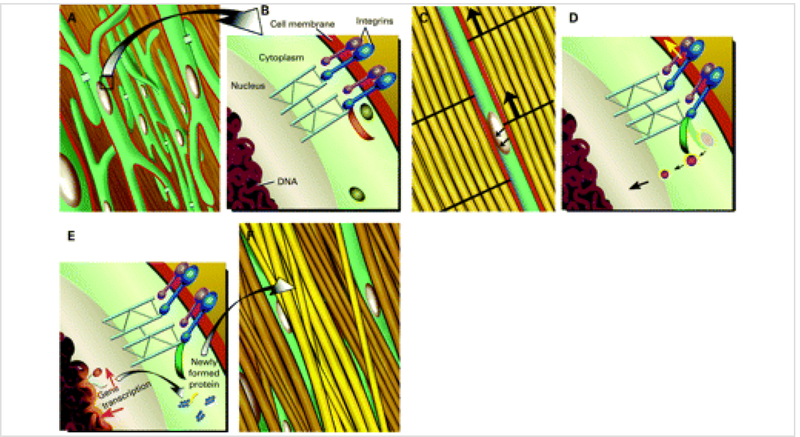 (2) cell–cell communication(thousands of cells embedded within an extracellular matrix. (3) the response at the cellular level to effect the response that is, the tissue “factory” that produces and assembles the necessary materials in the correct alignment. 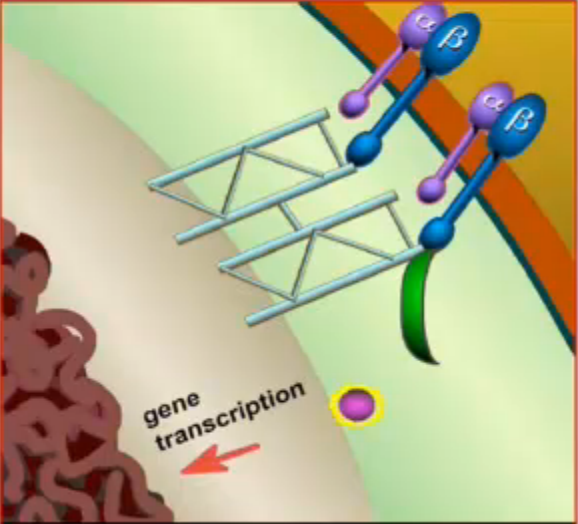 The communication at each stage occurs via cell signalling. An information network of messenger proteins, ion channels and lipids. 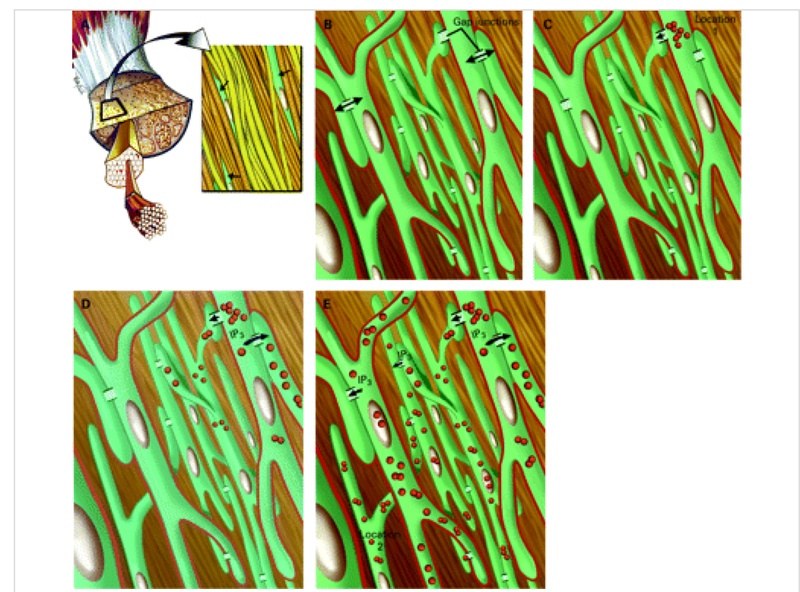 The intact tendon consists of extracellular matrix (including collagen) and specialised tendon cells (arrowheads). Cells in the musculoskeltal system are link to a various mechanical forces. Those forces influence a wide spectrum of cellular event; including alterations in cell proliferation (read mere about proliferation on our blog about inflammation), differentialion, gene expression and protein productions. 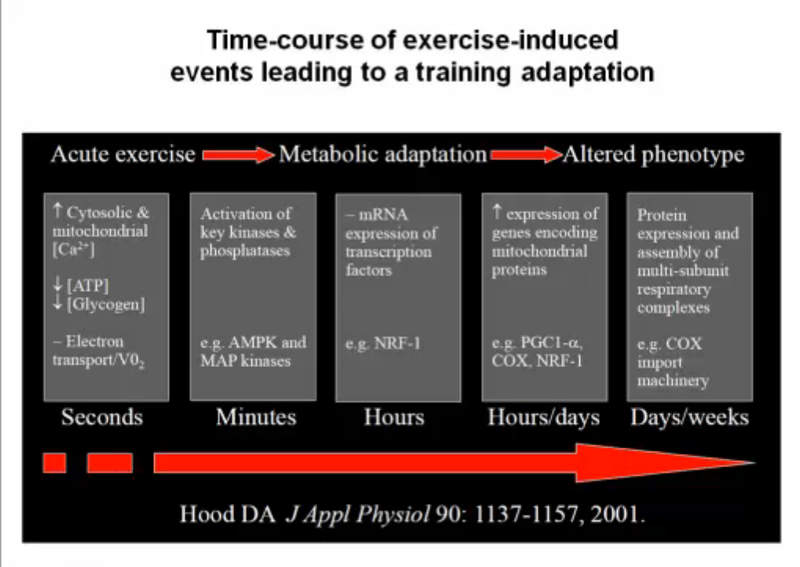 Mechanotransduction mechanism converts signal into a cascade of cellular and molecular events. Here you see the cytoskeleton (that is in direct physical communication with the nucleus (ie, tugging the cytoskeleton sends a physical signal to the cell nucleus)) and a top of those you see integrins that flip back and forward every time you move. This is illustrated with the yellow direction. 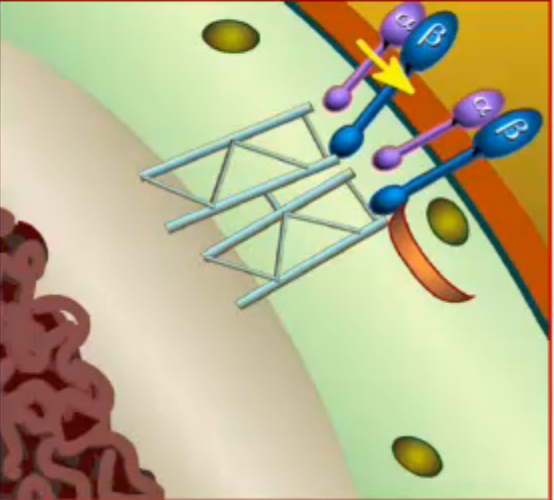 Once the cell nucleus receives the appropriate signals, normal cellular processes are engaged. When this happens, the nucleus signal create mRNA and shuttled to the endoplasmic reticulum in the cell cytoplasm, where it is translated into protein. 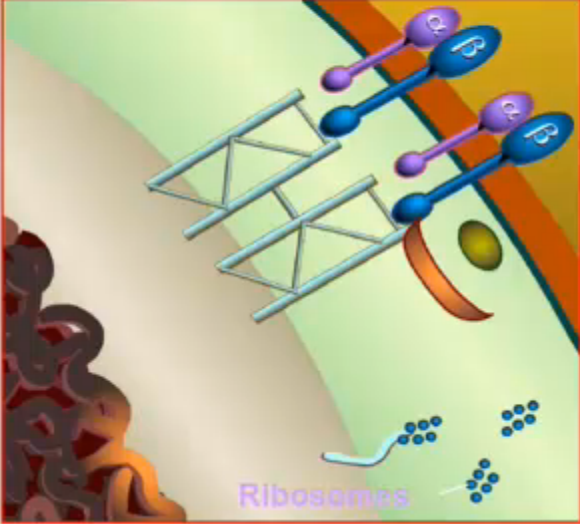 The protein is secreted and incorporated into extracellular matrix) it creates ribosomes in which starts a serie of intracellular processes leading to matrix remodelling. 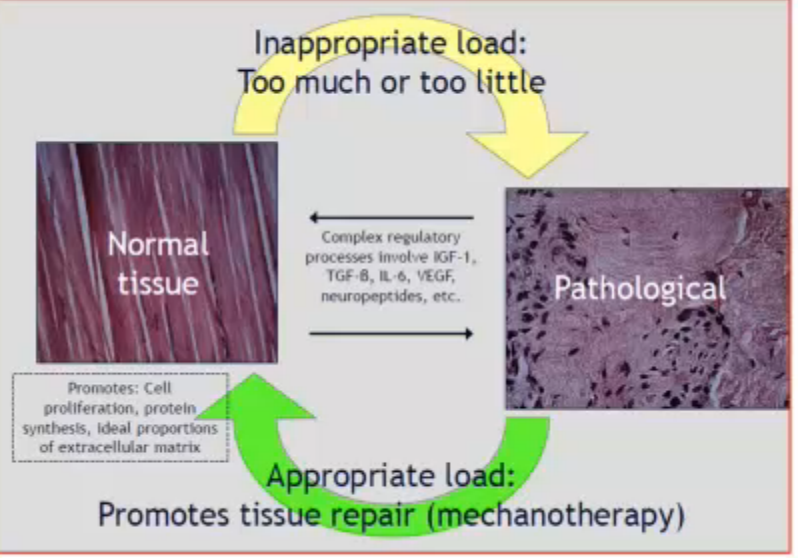 What is optimal loading or how do we getting the right loading balance (Ying & Yang) to stimulate tissue healing.? 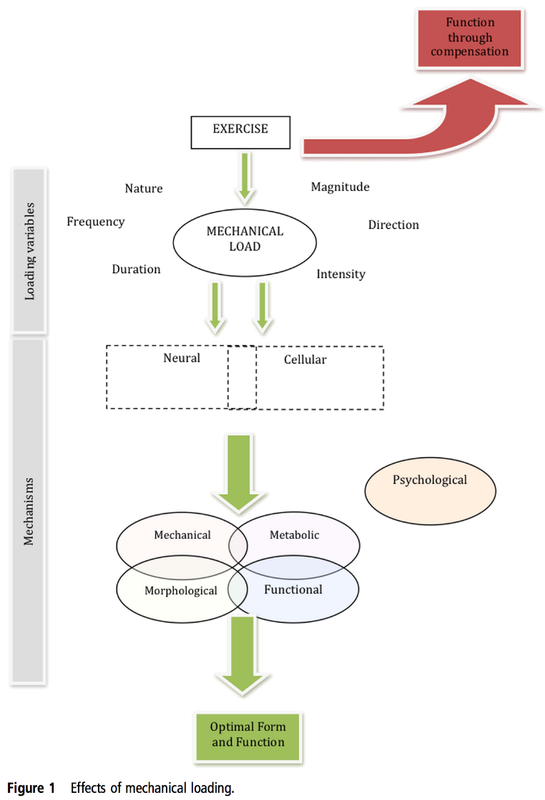 We have to consider the nature, direction, magnitude, intensity, frequency and duration of applied load to affected structures that maximises physiological adaptionen and restore function. Mechanics rules cell biology., Wang JH1, Li B. Sports Med Arthrosc Rehabil Ther Technol. 2010 Jul 8;2:16. doi: 10.1186/1758-2555-2-16. Næste Next post: Ultralyd – Should we use it.